The Fairview Inn was built by the Reading-based brewers H. & G. Simonds and was opened in September 1959. It was listed on the CAMRA national inventory of historic pub interiors as having “wonderful” full-height wall panelling. The “fair view” is over Southfield Golf Course, which opened in 1920. Enterprise Inns decided to sell the Fairview Inn in early 2013, and Fleurets put it up for sale with “alternative use potential”. 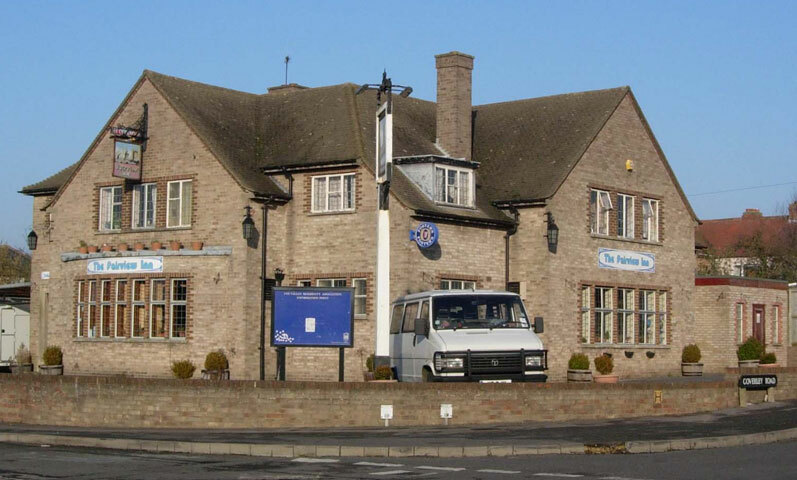 A community group managed to get it designated by Oxford City Council as a community asset on 16 June 2013, but failed to raise the £385,000 needed to purchase it, and it was sold to unknown buyers. The landlords Glyn & Gina Millard, who had run the pub for 29 years, then decided to retire in December 2013. The pub underwent refurbishments in 2014, and its panelled interior is understood to have been removed. Enterprise Inn spokeswoman Amy Dolphin told the Oxford Mail that it would remain a pub, but in August 2016 planning application 16/02112/FUL was submitted to convert it into a five-bedroomed house, and this was approved in November 2016.